Let them eat cake! – Marie Antoinette. These infamous words by Marie Antoinette always fascinated the foodie in me. Being the Queen of France, surely she had the best of desserts at her disposal. Enter Dalloyau, Dubai’s latest addition to the Parisian fine-dining scene, and my taste-buds were sent on a gastronomic journey into history dating back to the grandeur and royalty of Versailles. King Louis XIV stole Charles Dalloyau from the Prince of Conde way back in 1682, having been overly impressed by his baking skills. The Dalloyau dynasty survived generations in the court of Versailles, and the brothers were awarded the title of “Officier de bouche”, the highest French gastronomy distinction at the time. When Louis XVI was king, Marie Antoinette trusted none other than Dalloyau for all her catering needs. 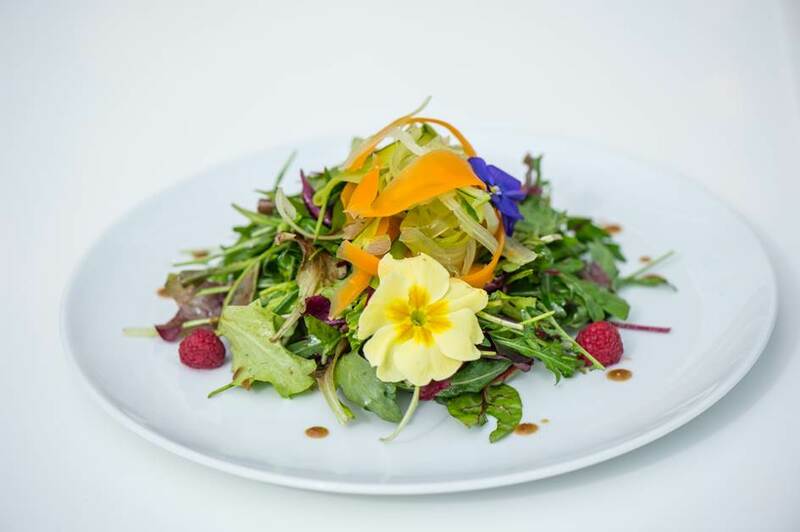 In 1802, Dalloyau opened the first ‘Maison de Gastronomie’ in Paris, and have been dazzling the world with their exquisite creations ever since. Today Dalloyou has over 40 boutiques around the globe, and has debuted in the UAE this week in Mall of the Emirates. Dalloyau prides itself for launching innovative concepts, while preserving the excellence of their royal Parisian heritage. 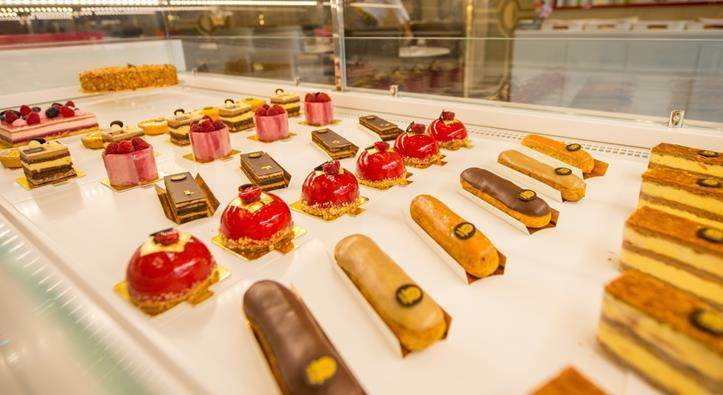 Dalloyau serves up state-of-the-art pastries that look too good to eat! 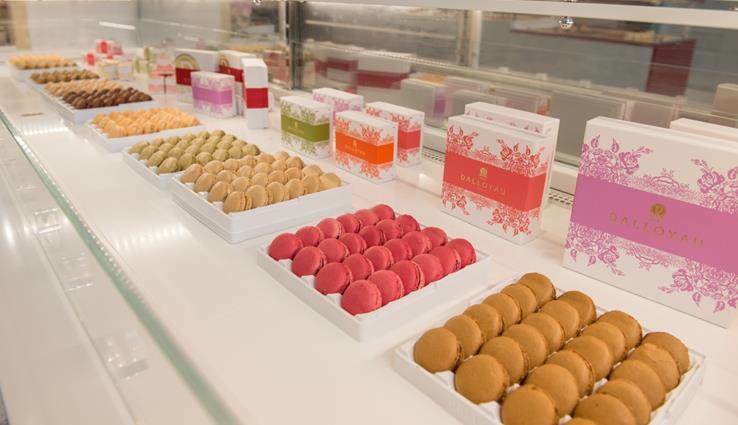 Being French, it would be criminal not to have macaroons, and the freshness of the ones at Dalloyau have to be tasted to be believed. 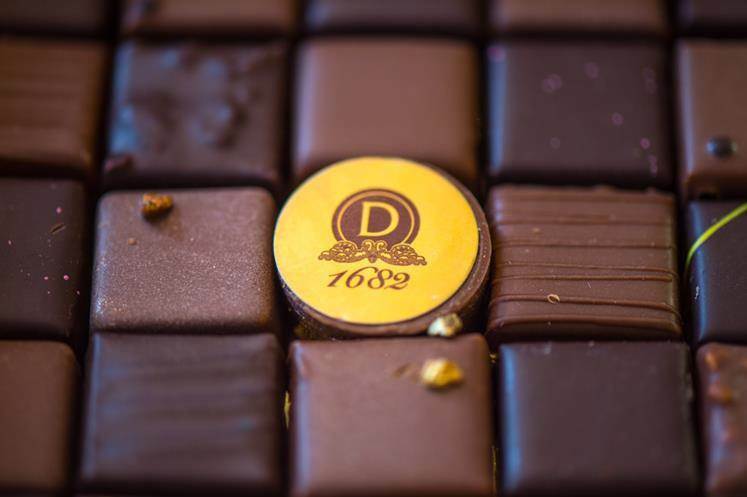 Dalloyau also offers a range of pure artisanal chocolates, a perfect gift for someone special or a treat for the chocaholic in you. 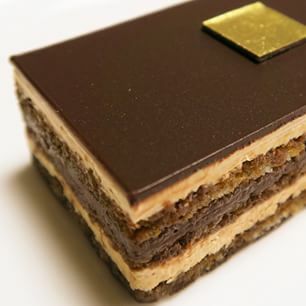 Dalloyau’s signature dessert is the Opera Cake. Invented by Cyriaque Gavillon of Dalloyau Maison de Gastronomie in 1955, the Opera Cake consists of three thin layers of Joconde (almond sponge) soaked in coffee syrup and garnished with coffee buttercream and chocolate ganache. The top of the cake is polished with a decadently glitzing layer of dark chocolate. This dessert is a must for chocaholics, and Tiramisu fans will find a new favorite with the Opera Cake’s deep choco-coffee richness. 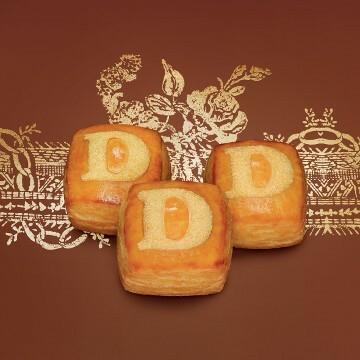 Dalloyau is also famous for its Pain du Roy, a delicious milk bread marked with the royal Dalloyau seal. The new Dubai outpost is now offering these signature delicacies as well as a full menu of fine French cuisine: Paris Croque-Monsieur with Comté cheese, Pain du Roy Bressan sandwich made with roasted chicken, pan-sautéed mushrooms, Comté cheese and light béchamel sauce and Angus beef fillet served with thyme flavoured roasted baby potatoes and Béarnaise sauce are just some of the specialties guests will be able to enjoy. 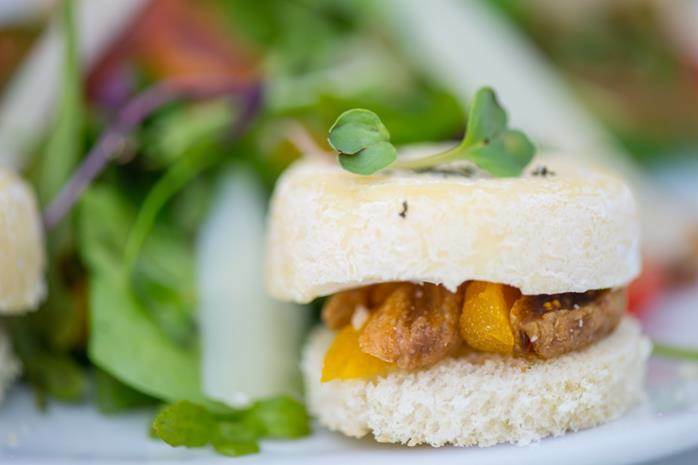 “Dalloyau’s years of expertise combined with the bold imagination to create new culinary masterpieces are what make this brand one of a kind,” said Sami Daud, owner of Gourmet Gulf and representative of Dalloyau in the region. 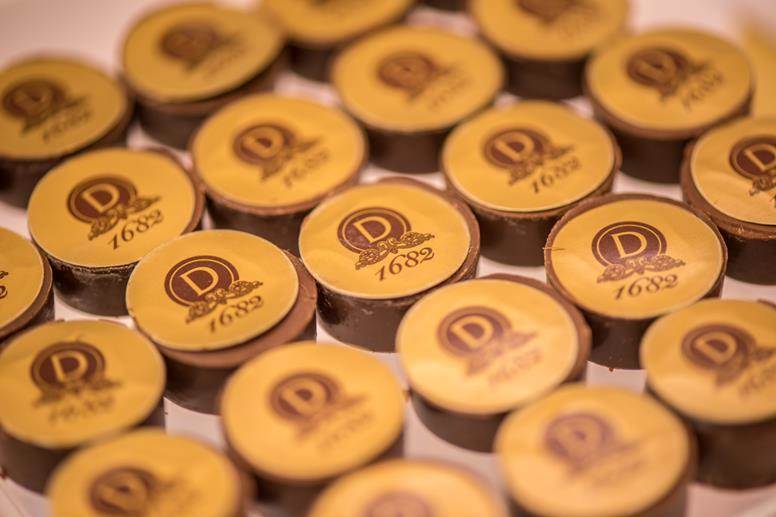 “Dubai is an ideal city for Dalloyau’s newest boutique as its diners will welcome the Parisian household name’s inimitable authenticity and the great quality attached to that name. We are confident that it will do great in this market,” he added. Dalloyau Mall of the Emirates, Dubai is open 7 days a week from 8.30 am to 12 am. Visit their website for more details, and check out their mouthwatering creations on Facebook. Posted in Restaurants and tagged dubai, food, french, french cooking, french dessert, opera cake, parisian, pastries, restaurant review. Bookmark the permalink.